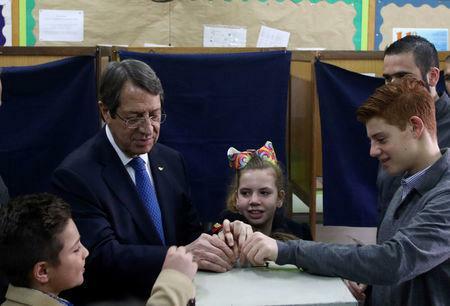 NICOSIA (Reuters) - Cyprus President Nicos Anastasiades defeated left-wing challenger Stavros Malas in a run-off election on Sunday to secure a second five-year term, final results showed. The conservative won 55.9 percent of the vote with 95 percent of votes counted and Malas called to congratulate him, state television said. 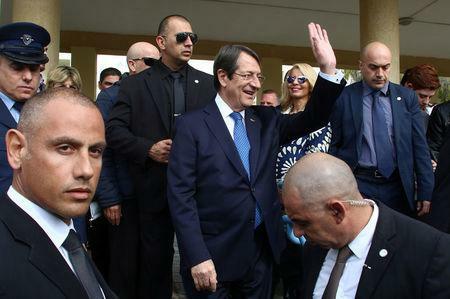 Anastasiades, 71, has taken credit for steering the Cypriot economy to recovery after it was plunged into crisis in 2013 by its exposure to debt-wracked Greece and fiscal slippage under a former left-wing administration. 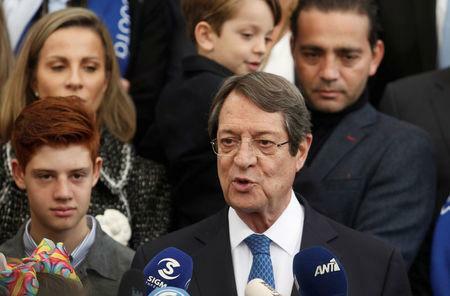 Anastasiades, who represented the Greek Cypriot side in those talks, faced criticism at home for either being too concessionary, or, as Malas suggested, tactical blunders in missing one of the best chances in a generation to solve the logjam.